Can Apple iPhone 5 Beat Google Nexus 4G? Discussion in 'iPhone' started by BlindMellon, Jun 23, 2011. Funny the hype and buildup iPhone 5 is getting. Will the market be dissapointed if it's only a warmed over iPhone 4? No way, the nexus 4g has a better screen and better processor. Now I will give the iphone 5 the win for the better design and the iphone 5 still has a better battery life. But the iphone 5 breaks more easily if dropped than the nexus 4g. Now my resale value for my old iphone 5 is better than that of your old nexus 4g. The more time goes on, the more I think that the iPhone 5 will be a completely redesigned device. Earlier this year, I would have said that a souped up 4S would have been sufficient, but the mobile market has changed so much in a just a few months. Android has grown significantly. Most of the major networks are making 4G speeds more widespread. Samsung, among other companies, are putting out some rather impressive devices. Plus, the fact that the 4 has been out over a year means that the general public will be salivating for something unique and impressive from Apple. If the only major changes they make are to add a better camera and A5 chip, I think that most people will look to Android or WP7. Spec wise I heavily doubt it. How do you compare phones that don't officially exist. Comparing phones based on rumors is silly. Neither phones officially exists at the moment, so all this is irrelevant. This is quickly going to turn into another Android vs iOS crap thread in no time, just like the other ones. The way I see it, it's not even about the phones anymore, ridiculous. Hardware wise? No chance. Software, easily. But i'd love for the iPhone 5 to come close. If one cares only about sales then yes, the iPhone 5 will beat the Nexus 4G. It will break sales records just like every other iPhone has done. I'm setting myself up to be sorely disappointed in the iPhone 5. I think it will be better, or worse. Depends on who you are, and what you need. One will always be better than the other, in certain ways for certain features. I don't think the iPhone is any better than the top end android phones, nor do I think the top end android are any better than say, the iPhone 4 even. It's all up to what you want and need. The most anticipated gadget of 2011 might not even be iPhone 5, Nexus 4G, or any smartphone for that matter. 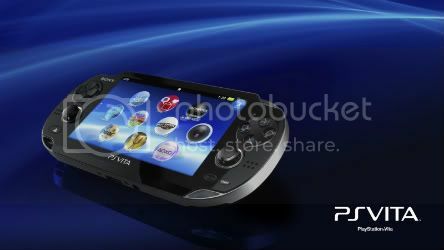 As long as the Vita comes out this year it will be the gadget of the year for me, at the moment it's my most ancipitated electronic device ever. While we are talking about imaginary phones what about another useless comparison between the iPhone 6 and the Nexus 5!!! This is easy, does anyone else have any questions about any imaginary products I can answer for them? Now I will give the iphone 5 the win for the better design and the iphone 5 still has a better battery life. Sarcasm, wait, are you being sarcastic also? Now I am confused.. Doubt it. That will have fanfare fora couple months and thats it. Its just a upgraded PSP which isnt popular anymore. I mean ni guess with the kids it will be popular for a while but phones imo will always be more popular. Vita is just a game console with a camera. Depend on what specs you are looking at. a5 is better than tegra 2. Right now, no phone has a tegra 3 chip or better. Retina screen is the best in the business. iPhone 4 is rated with the best camera phone in the business. iPhone 5 should be better. Nexus 4g has a better (as far as we know) data speed. That's it~! iPhone 5 wins! Apple is setting you up for that with the delay. Thats assuming it is just a slightly upgraded ip4. From what I Heard the nexus 4G will have a 720p screen and a dual core 1.5ghz processor. It will be a very fast phone. This is based on some rumors.